The Willow Chair in beige is a quality piece of furniture that combines comfort with stunning design. The armchair has a comfortable design thanks to the high back. The raised peg legs give the piece of furniture a retro vibe while maintaining modern design with the choice of colour. It's a minimalist armchair that would be at home in a contemporary setting, yet still fit in homes with a more traditional vibe. The Willow Chair is a versatile armchair that will work in multiple rooms in the home or the office. Position the Willow Chair in the bedroom for a practical occasional chair or to use when reading your favourite book. The Willow Chair in beige makes a terrific addition to the living room or similar reception room. Providing a comfortable and stylish seat for friends and family thanks to the shallow seat and curved design of the high back. 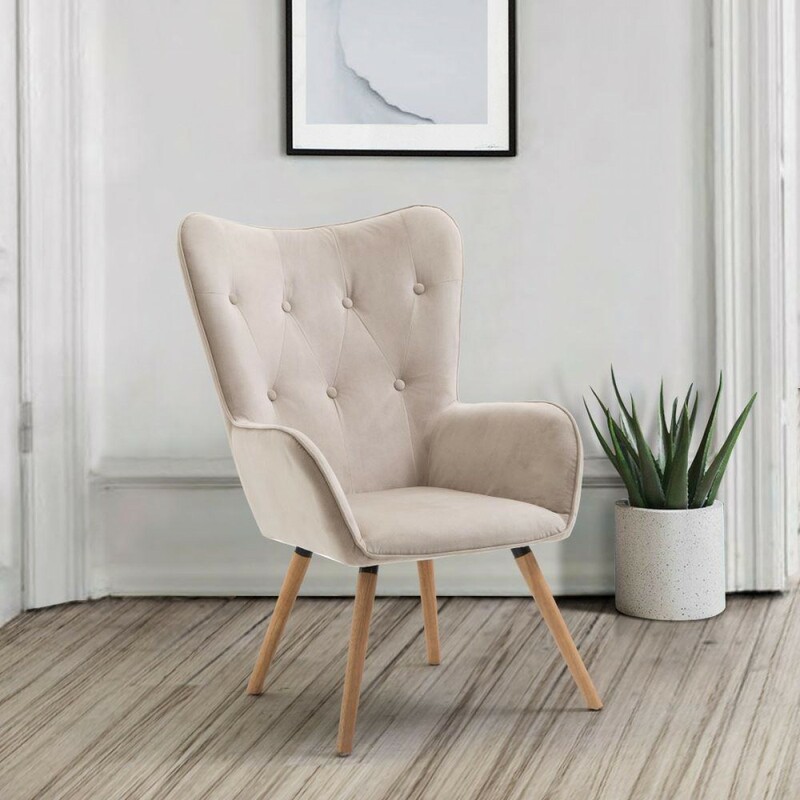 Add extra interest to the room by introducing the Willow Chair in Beige to the space. The Willow Chair is constructed to a high standard, with top of the line materials and clever design work. Lift the room and the décor of your home with this fantastic accent piece. Position the armchair with a floor standing lamp and an occasional table to create a stunning focal point. The Willow Chair in beige is a quality armchair that works in any room in the home. Use it as an occasional seat, a focal point or as a regular chair in your living room, bedroom or hallway. The Willow Chair is easy to style, add a cushions or throw, or let the chair speak for itself. The Willow Chair is available in different colours, find the perfect one for your home.